FCJ is a non-academically selective school, whose pupils have a wide range of academic abilities and talents. 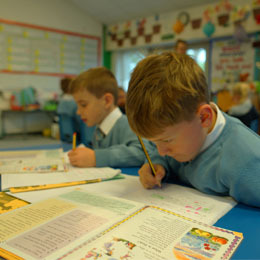 Nationally, from the end of Key Stage 1 to the end of Key Stage 2 most pupils are expected to make two levels of progress. At the end of Key Stage 2 most pupils are expected to achieve Level 4. Achievement at FCJ continues to be outstanding.